If there’s one skincare product I’ve been loving using lately, it’s the Hada Labo Super Hyaluronic Acid Hydrating Lotion. It’s been widely praised and talked about but I’ve only recently started using it and I love it. 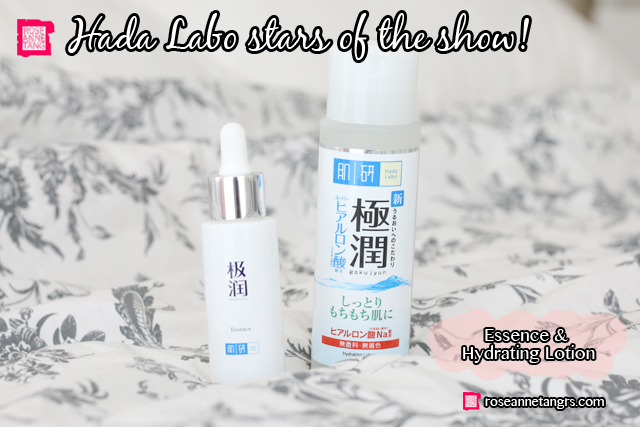 If you’re not familiar, Hada Labo is a skincare brand from Japan and it’s widely known for the use of Hyaluronic Acid or HA for its amazing hydrating properties. In fact, the skincare brand has spent years researching HA and has identified several sizes of these HA molecules, four of which are used in its lotion in a proprietary High Performance Penetrating & Deep Moisturising (HPP&M) Hydration Technology. 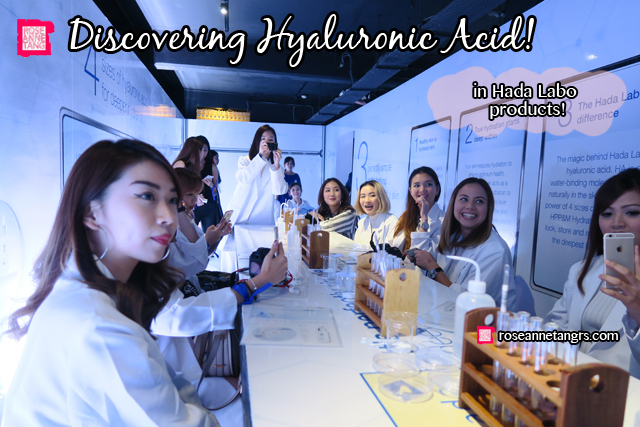 In an event the other night, I learned and discovered a lot about this miracle ingredient Hyaluronic Acid and amazing tips to using Hada Labo products that I can’t wait to share with you. 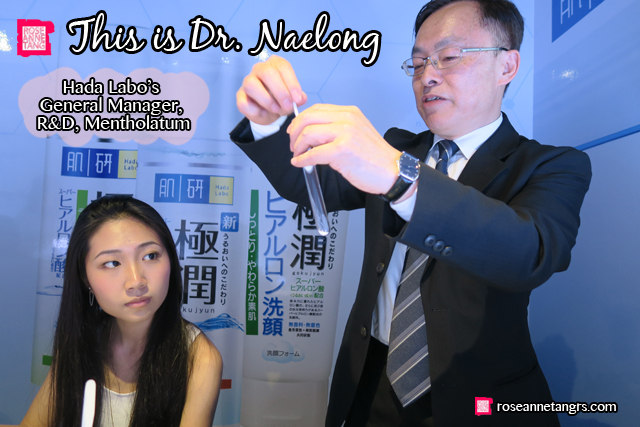 Let me introduce you to Dr. Naelong Wang, Ph.D (Chemistry) from John Hopkins University and General Manager of Hada Labo Asia Research Centre based in Taiwan. He introduced us to the science behind HA and Hada Labo products. Hyaluronic Acid is actually a naturally occurring ingredient in the skin, making it great for us to use and very safe. HA also has the ability to bind water to itself and even one gram of HA is already able to hold up to six litres of water! In Japan, it’s one of the most well known and favourite skincare ingredients by consumers. Hydration also differs from Moisturisation. Hydration is water from within while moisturisation only affects hydration on the surface of the skin. Imagine a plant – hydration is water that the plant drinks up from the roots while moisturisation is simply water on the leaves. 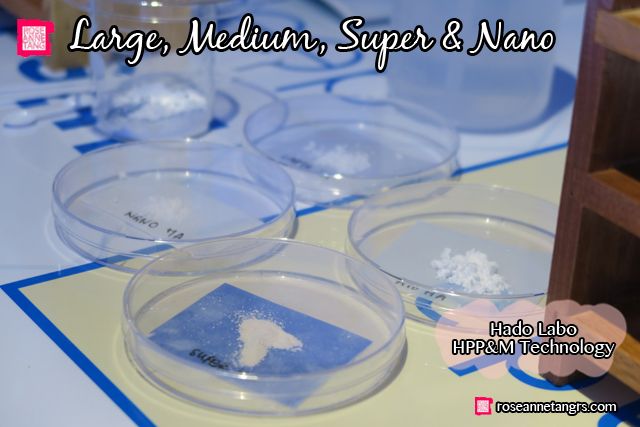 Hada Labo tackles these two concepts through their HPP&M Technology that consists of four different sizes of Hyaluronic Acid: Nano-HA, Super HA, Medium Sized HA, and Large-sized HA. In fact, deep hydration is the foundation for healthy and beautiful skin. When your skin is dehydrated, it’s not a pretty picture. Your skin will begin to feel tight and uncomfortable, dryness leads to skin roughness and it may also overproduce sebum causing oiliness that may lead to breakouts. If not properly hydrated then, the skin’s natural defence system leads to irritation and inflammation and cracks may manifest on the skin’s surface as well as fine lines and wrinkles. So remember you need to not only moisturize but hydrate your skin from within! Large-Sized HA is like the umbrella of the epidermis and sit on the skin’s surface to fight against water loss. It creates a thick moisture layer that attracts a large amount of water from the atmosphere to keep your skin well-hydrated. Medium-sized HA is the moisture-lock just beneath the skin’s surface and forms a double moisture-locking shield by interlocking with Large-sized HA. Super HA is the waterbed in the middle skin layer and pump up and store water in the skin like a reservoir. Nano HA is the super hydrator in the deepest level of the skin and is 20 times smaller than regular HA molecules. This delivers instant relief to parched skin and replenishes a huge moisture reserve in the skin. The amount of HA in that test tube is small but is worth more than the salary of Dr. Naelong! 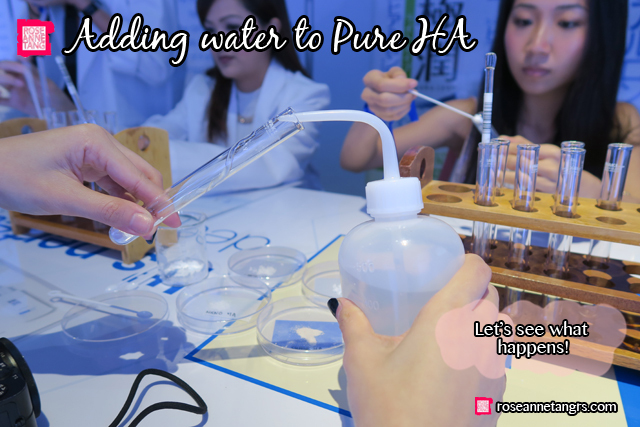 Hada Labo products contain very high levels of Hyaluronic Acid and uses only purified pharma-grade water. On the skin, I felt instantly hydrated, smooth and moisturised. It was unlike anything I’ve experienced. Hada Labo also invited Xiao Kai Lao Shi, a famous celebrity make-up guru from Taiwan! He gave us tips on how to use Hada Labo products most efficiently to achieve soft, supple and hydrated skin. My favourite takeaway was to apply the Hydrating Lotion to the cheeks first because that is usually the driest part of your face. Xiao Kai Lao Shi also advocates patting the product in. First rub the lotion on the palms and gently pat on the face inside out. The patting motion accelerates the absorption of the lotion in the skin and promotes blood circulation. It also adds a bit of temperature by pressing the lotion in as well. When applying your bb cream with a sponge, it’s also good to add a bit of serum and lotion into the sponge to pat onto the face. This gives a glowing and radiant look as the skin becomes hydrated and transparent. Xiao Kai Lao Shi also insists that we dab and bounce the sponge on the skin across the face. And all of this? It’s all in a bottle of Hada Labo. Using both the Hada Labo Super Hyaluronic Acid Hydrating Lotion and Essence have been helping my skin look so much clearer and happier and hydrated than before. Both have been helping my skin look so much clearer and happier and hydrated than before. 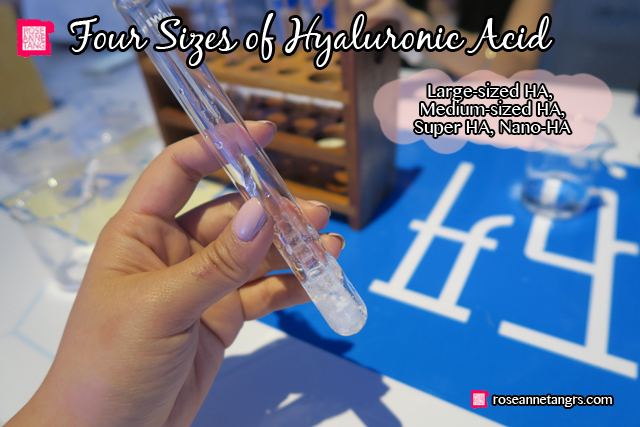 The Hada Labo Super Hyaluronic Acid Hydrating Essence ($31.90) contains 3X the concentration and forms a moisture -locking shield while the Hada Labo Super Hyaluronic Acid Hydrating Lotion ($22.90) is known as the star product and allows the four different sizes of HA to be infused into different skin layers. This provides multiple levels of hydration and protection against HA. I hope you enjoyed these amazing tips. 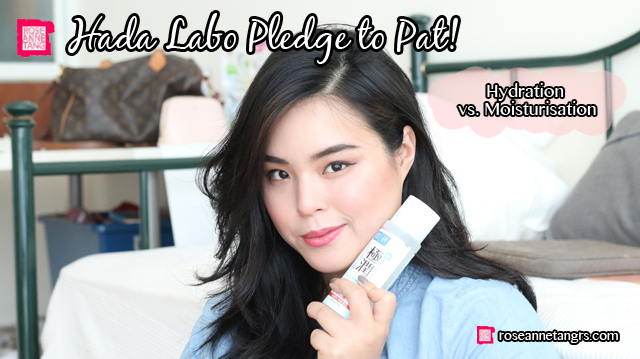 I’d like to encourage you to join Hada Labo’s Pledge to Pat campaign that could help you win a 4D3N trip for two to Kyoto, Japan – home to Hada Labo, worth over $4,000! 5. The best 400 posts will be rewarded a full-size bottle of Hada Labo Super Hyaluronic Acid Hydrating Lotion (170ml) worth $22.90! 6. On top of that, I’ll be picking ONE lucky winner to walk away with a hamper – SGD 150 worth of Hada Labo products! 7. Terms & Conditions apply. Contest begins May 6, 2016 and results will be out at the end of June! Thank you Hada Labo for helping me discover this great product and for sponsoring this post. How To: Lip Liner Tutorial with Orange Lips! My Facial Experience at Asian Skin Solutions! Just for you – Get a $1K + facial for only $10!